Affectionately known by all who have gone through it as the 'ringer', you can find your attendees crowding around it. 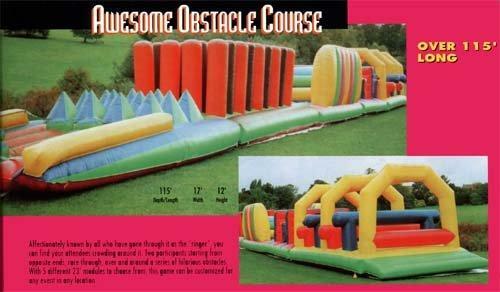 Two participants starting from opposite ends, race through, over and around a series of hilarious obstacles. With 5 different 23' modules to choose from, this game can be customized for any event in any location.